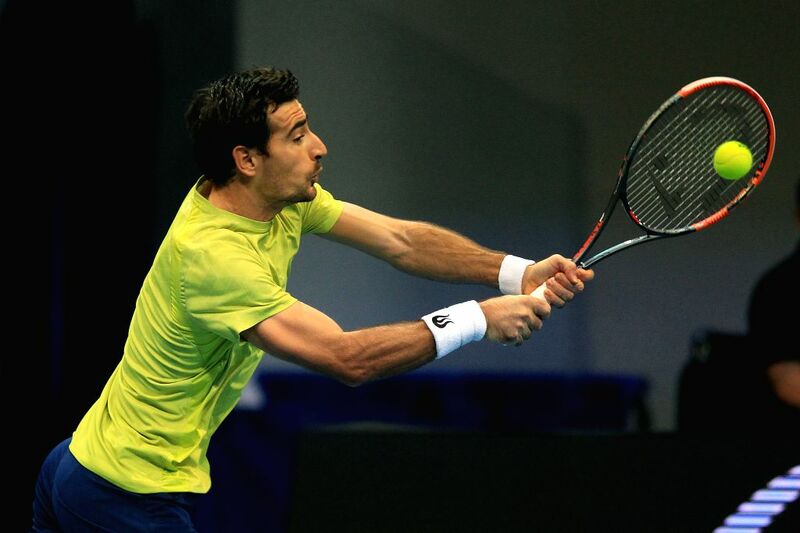 PASAY CITY, Dec. 7, 2015 - Micromax Indian Aces' player Ivan Dodig of Croatia returns the ball against players of Obi UAE Royals during their men's doubles match in the International Premier Tennis League (IPTL) in Pasay City, the Philippines, Dec. 7, 2015. Micromax Indian Aces won 6-3. 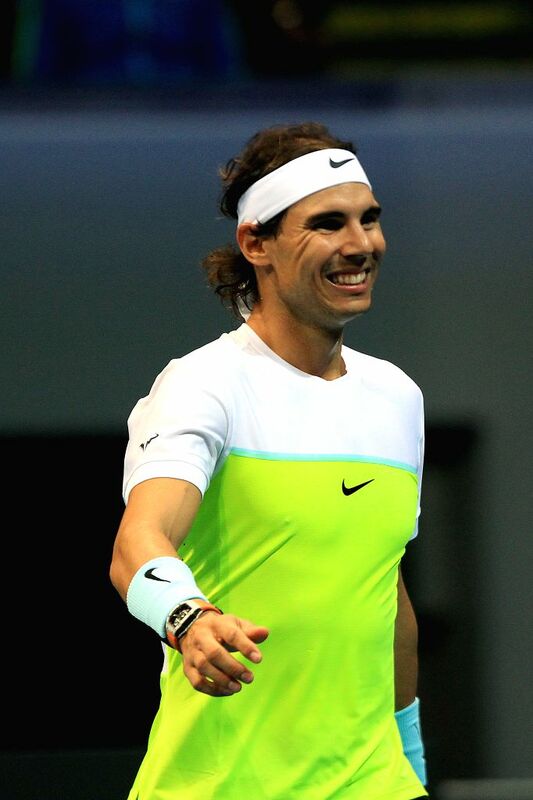 Micromax Indian Aces' player Rafael Nadal of Spain smiles during the men's doubles match against Obi UAE Royals in the International Premier Tennis League (IPTL) in Pasay City, the Philippines, Dec. 7, 2015. 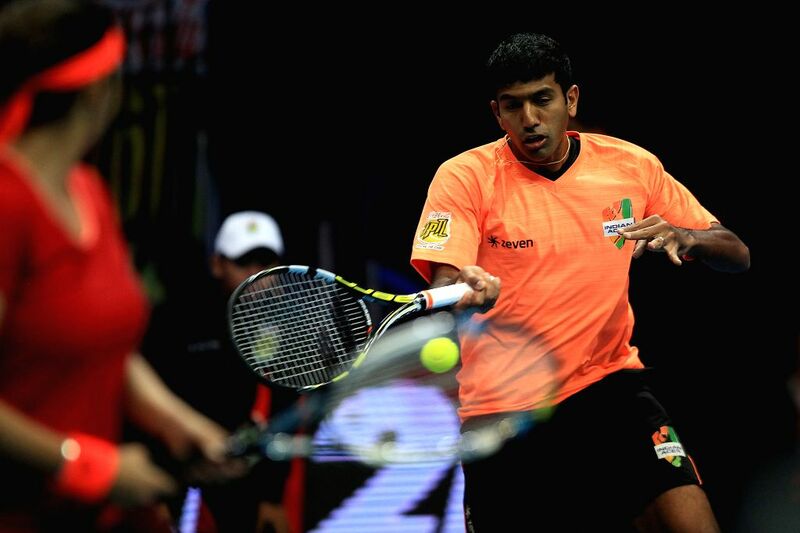 Micromax Indian Aces' player Rohan Bopanna (R) of India returns the ball against players of the Obi UAE Royals during their mixed doubles match in the International Premier Tennis League (IPTL) in Pasay City, the Philippines, Dec. 7, 2015. Micromax Indian Aces won 6-4.